EMS are honoured to be associated with Clane GAA and sponsor the Annual Clane GAA Business Lunch. 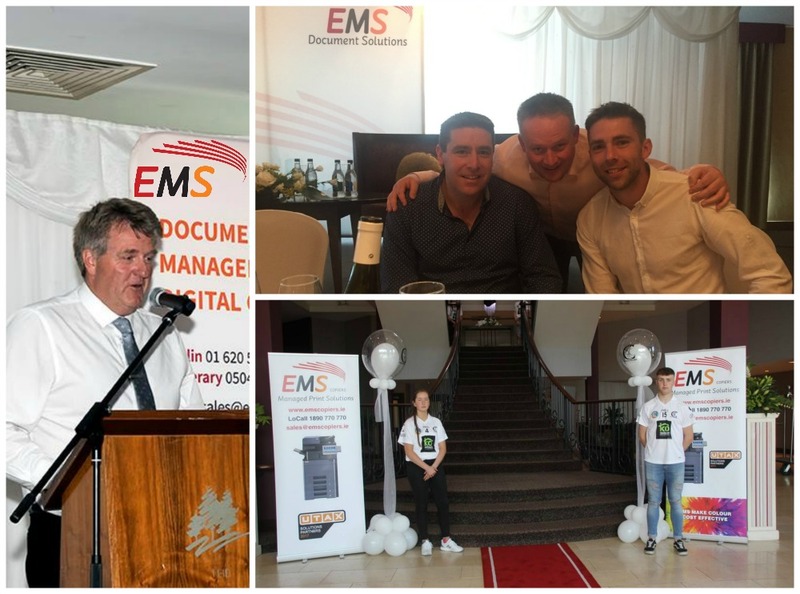 A really enjoyable event at the fantastic Westgrove Hotel last Friday with a host of GAA stars from present and past to showcase the event including Mick O’ Dwyer and the legendary Ó Sé brothers pictured below with EMS Copiers MD John Cahill. In addition the one and only Barry Murphy (Après Match) was the MC and provided everyone with much entertainment.